April | 2014 | Larval Subjects . Starting at GCAS June 8 and running through June 29: “An Object That is Not Oriented: Lacan’s 10th Seminar”. 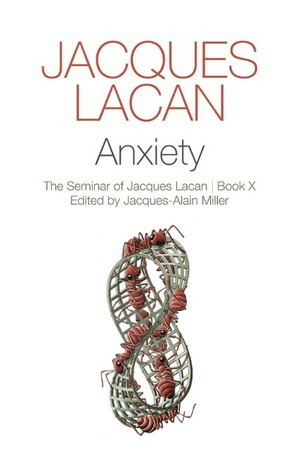 Seminar 10: Anxiety is among his most thorough explorations of objet a, the object-cause of desire, and contains rich discussions of subject, desire, drive, language, embodiment, affect, anxiety, and the Other. This course will explore issues of drive, desire, objet a, subjectivity, ego, and anxiety as one, among many, of the capitalist affects. Beginning with Søren Kierkegaard in the 19th Century and throughout the 20th century, anxiety has become an increasingly important affect in philosophy. Accompanying this rise of interest in philosophy, the 20th century has seen an explosion of anxiety disorders in the clinic. Within philosophy, anxiety has generally been seen as a privileged affect signalling our relationship to death, our status as a subject, and so on. In the clinic, theories of affect have ranged from organic causes pertaining to neuro-chemistry to an affect signalling repressed childhood traumas as in the case of phobias. However, the historical timing in which anxiety arises as a particularly significant affect for both philosophy and psychotherapy is symptomatic. Kierkegaard is writing on the eve of the Industrial Revolution. Capitalism, tracing its unfolding trajectory from the 15th century to present, has come into full bloom. As Nietzsche would later note in his lament about the death of God, the Enlightenment has progressively eroded all points of stability found in authority, kings, beings such as God, truth, and so on. Might it be that there is something about capitalism that is particularly conducive to the production of anxiety as an affect? Might it be that this affect pertains to a very special kind of object, the objet a, that both disorients and that is no object at all, and that is deeply wedded to or that becomes particularly prominent with respect to the meanderings and délire of capital? Could it be that there’s a specifically capitalist subject that is perpetually accompanied by affects such as anxiety and depression? These are some of the questions that will be explored in this course through a close reading of Lacan’s 10th seminar. No prior familiarity with Lacan is required. Requirements: Reading Lacan’s 10th Seminar. Information for registration is available on GCAS’s website. A couple weeks ago I was interviewed by Radio Student in Ljubljana. There’s a great deal here on both Onto-Cartogrpahy and politics. Part one can be found here, while part two can be found here.